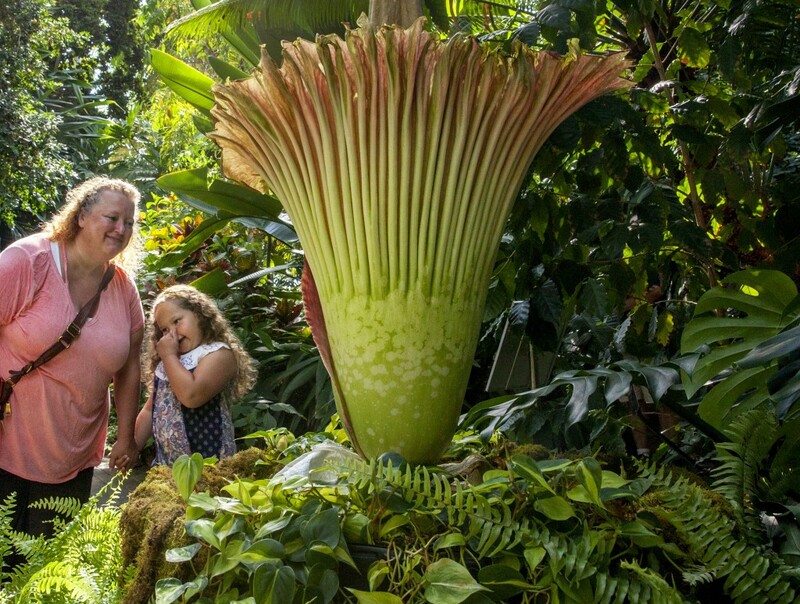 GRAND RAPIDS, Mich. (AP) — Visitors are flocking to a Michigan botanical garden to get a whiff of the unpleasant-smelling "corpse flower" that's in full bloom for the first time in 18 years. 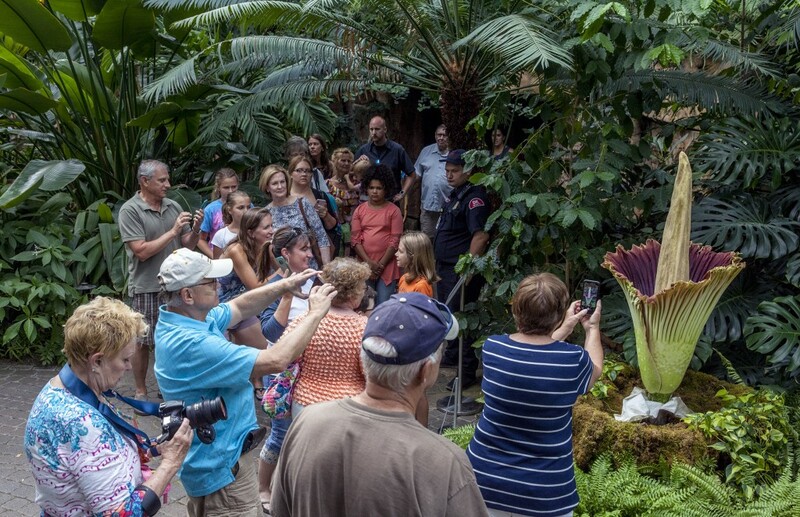 The Amorphophallus titanium, also known as the "corpse flower," began blooming Wednesday at the Frederik Meijer Gardens and Sculpture Park in Grand Rapids. The garden's staff nicknamed the flower "Putricia" for its putrid smell, which is often compared to rotting meat. The flower is opening for the first time since it was planted in 2000. 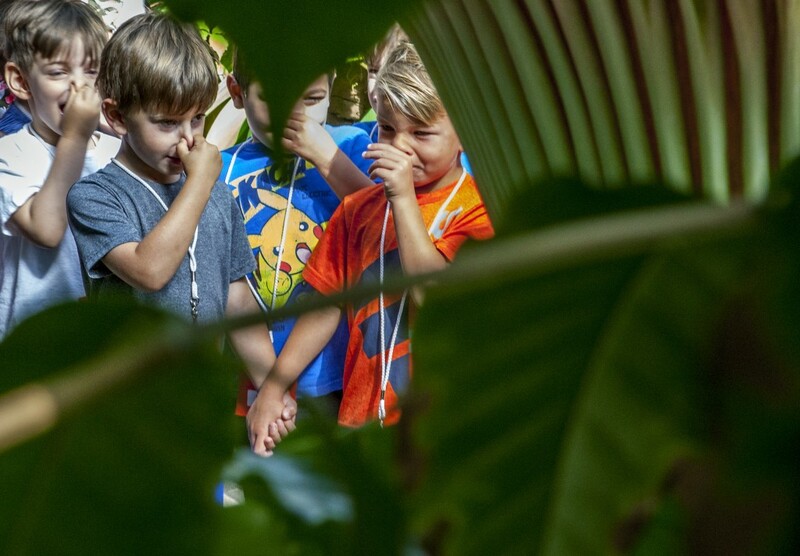 The whole conservatory currently smells and the flower's signature stench lives up to the hype, said Steve LaWarre, Meijer Gardens' horticulture director. Visitors have described the odor as similar to rotten Vidalia onions and mice in an old gym bag. 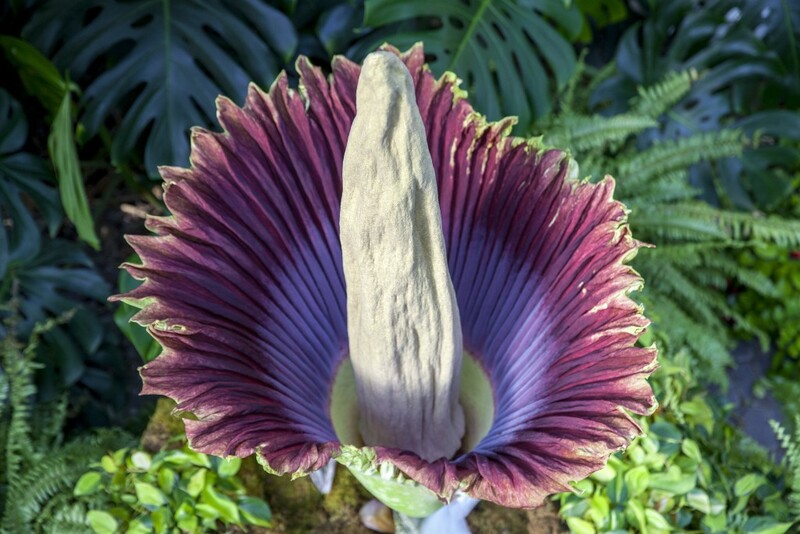 Corpse flowers, typically found in Indonesia and Sumatra, are the largest flowering structures in the world, said Wendy Overbeck, the gardens' horticulture manager. "Putricia" stands at 4.5 feet (1.4 meters) tall. The flower attracts pollinators during its bloom through its potent smell, deep maroon color and heat emissions, Overbeck said. "It's just something really exciting that I hope people will enjoy, or maybe not enjoy because of the smell. I've been calling it a 'beautiful stink,'" LaWarre said. "I hope a lot of people get the chance to experience it." The flower will stay open for only a few days. It's expected to completely close by the end of Saturday.